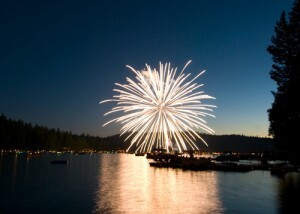 As the last days of Summer give way to Fall later this month, and our heads start to fill with happy thoughts of Fall Festivals, the seasonal change of leaves and the first hints of falls chill the focus of event calendars all along the Highlands-Cashiers Plateau turn to art, antiques and the quiet celebration of nature. With school back in full swing, this may be the perfect time to steal away for a leisurely weekend in the mountains featuring fun at your own pace touring the shops, dining at one of dozens of fine restaurants, attending an arts & crafts show, learning about the creatures we share this planet with, or discovering all of the wonderful things that make this little corner of the world so unique. If peace and relaxation are what you seek, this is the place to be. The friendly folks at Silver Creek Real Estate Group look forward to seeing YOU up on the mountain in September! September 1- 5: 13th Annual Cashiers Designer Showhouse Whisper Fade at Wade Hampton Golf Club in Cashiers, NC. Proceeds benefit Cashiers Historical Society. CHS Museum will be open daily for tours, and the event will include the exquisite work of a number of local and regional designers, Showhouse Shops, Merchants Tent and Lunch from Caf 107 will be served daily at the Dowden Pavilion. Hours: Monday through Saturday 10 a.m. to 4 p.m., Sunday 1 to 4 p.m. General admission is $25/person. Tickets will be available for purchase at the Showhouse or in advance by calling (828) 743-7710. For further information, visit cashiershistoricalsociety.org. September 1: Final days of Highlands Gala of the Arts at Old Edwards Inn & Spa Executive Conference Center Artist Presentation Milburn Riley 10-10:30 a.m. & 2-2:30 p.m. in the Williams Executive Board Room. Art Displays will be available for viewing in the Trillium, Hemlock & Laurel Rooms. For more information, please call 404.542.2773. September 1: Final days of Highlands Gala of the Arts at Old Edwards Inn & Spa Executive Conference Center Benefit Auction of Art 6:00 to 7:30 p.m. Proceeds from the auction will benefit the Literacy Council of Highlands. For more information, please call 404.542.2773. September 4: Mountain Tail Waggers Walk & Pet Fest at Pine Street in Highlands - 8:00 a.m. to 1:00 p.m. hosted by the Cashiers-Highlands Humane Society. Silver Creek Real Estate Group is a proud sponsor of this event. Our own Dan Allen is a member of the Board of Directors for the Cashiers-Highlands Humane Society. September 4: The Highlands Performing Arts Center presents Robert Ray's Big Band Show 1 Night Only! Turn back the clock to the fabulous 40's and enjoy the authentic sounds of a 10- piece Swing Band. 7:30 p.m. - All Seats just $30. For more information visit www.highlandspac.com or call 828-526-9047. September 4-Oct. 5: Summit One Gallery presents Betty Foy Botts New Abstracts Exhibition Narratives. For more information, call 828-526-2673. September 4 & 5: Village Square Art & Craft Show at Pine Street Park in Highlands 10:00 a.m. to 5:00 p.m. Saturday & Sunday. Featuring some of the most talented regional artisans around selling fine art, folk art, jewelry, rustic furniture and birdhouses, pottery, fabric art and clothing, baskets and more. 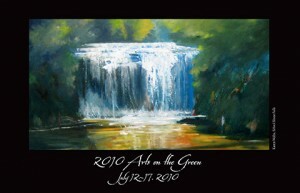 For more information, contact show organizer Cynthia Strain at Mill Creek Gallery & Framing at 828)787-2021. September 4 & 5: Cashiers Rotary Club Arts & Crafts Festival Village Green in Cashiers 10 a.m. to 5 p.m. Rain or Shine. September 5: Sapphire Valley Concert on the Slopes 7 p.m. featuring Tuxedo Junction. Tickets are available now at the SV Community Center. $20.00 when purchased in advance, $25.00 at the gate. Kids 14 & under are $10.00. For more information, call 828.743.7663. September 7-9: Fall Style Week at Old Edwards Inn & Spa Fall Garden Party & Entertaining Seminar at The Farm 11 a.m. to 2 p.m. on Tuesday, 9/7 - $75 Per Person - Begin with a champagne welcome and culinary presentation by Old Edwards own Chef Johannes Klapdohr. Enjoy a delicious garden-party luncheon surrounded by the stunning beauty of The Farm. Kirk Moore of Oakleaf will join Joe Extine of Acorns Boutique for a demonstration of how to make your fall parties beautiful, colorful and magical with the right tablescapes and creative florals. Special samples, recipes and garden-party gift packs will be available. Call 828-787-2625 for tickets and information. Complimentary Fall Wellness Expo at the Spa Courtyard 1 to 4 p.m. on Wednesday, 9/8 - Learn the benefits of cosmetic acupuncture with Kim Bonsteel. Get a free personal demonstration of ear acupuncture, which is helpful in: Stimulating the para sympathetic nervous system to create the relaxation response and reinforcing will power and decision making. Get a free scalp analysis with a scope which magnifies the scalp and hair follicle 400% and reveals what your hair really needs or does not need. Richard Brown from Phyto Botanical Hair Products will conduct the analysis and share samples of Phyto products. Enjoy a free Franche makeover by a professional make up artists and free 10 minute chair massages to promote relaxation and circulation as well as releave tension in the back, neck and shoulders. All participants will receive a 10% discount on all retail products purchased and on spa services booked during the Wellness Expo. Fall Fashion Show with Lunch by Executive Chef Johannes Klapdohr at the Rooftop Terrace 1 pm to 3 pm Tickets are $35 for fashion show, lunch and a champagne arrival. Acorns Boutique debuts its spectacular array of fall designer fashions for women of all ages and body types. View this seasons hottest styles from designers like Covelo Clothing, Planet Clothing and Marissa Baratelli. Also featured will be beautiful fall accessories by Bijouz deMer Jewelry and Elizabeth Locke Jewelry, including the new stylish selection of handbags. Cash Bar. Limited Seating. Call 828-787-2625 for tickets and information. September 10: Groovin on the Green Free Outdoor Concert Series at the Village Green in Cashiers. September 11: Old Edwards Inn & Spa PAR 5K and Pancake Breakfast 8 to 11 a.m. benefits the Literacy Council of Highlands. September 11: 3rd Annual Highlands Motoring Festival This fun, family oriented event is a must for the vintage car enthusiast who wants to show or just to browse great cars from the past. Come for the day or the weekend youll be glad you did! Featuring the Bridgestone Tire F-1 Racing Simulator see if you have what it takes to be a pro race driver. Public admission is FREE! Registration opens at 7:30 a.m. and event ends at 4 p.m. For more information, visit www.highlandsmotoringfestival.com/page1.php. September 11: 5th Annual Songwriters in the Round Concert High Hampton Inn Pavilion 6 to 9:30 p.m. Heavy appetizers, wine and beer served from 6 to 7:30, with the concert beginning at 7:30 p.m. Proceeds benefit the Blue Ridge School Education Foundation. Tickets are $65/person. For more information, contact 828-399-0651. September 13: BEARS Presented by the Highlands Plateau Audubon Society at the Highlands Civic Center. Program featuring a presentation by Appalachian Bear Rescue from Townsend, Tennessee. Light refreshments will begin at 7 p.m. followed by the program at 7:30. No charge to participate but donations to Appalachian Bear Rescue are invited. September 17: Groovin on the Green Free Outdoor Concert Series at the Village Green in Cashiers. September 18: Fall Migrants Presented by the Highlands Plateau Audubon Society at the Highlands Biological Station. Field Trip to Highlands Biological Station and Sunset Rocks to study fall migrants. Meet at the public parking area next to the town hall at 7:30 a.m. For additional information call Brock Hutchins at 828-787-1387. No charge to participate. September 22: First official day of FALL!!!! September 22: Highlands Cashiers Land Trust Village Nature Series at the Village Green in Cashiers. A presentation by Michael Skinner regarding Hunters of the Sky. FREE admission. 6 p.m. No reservations required all are welcome. September 23: Highlands Audobon Society presents the Blue Ridge Parkway Field Trip to study fall migrants. We will return mid-afternoon so bring a light picnic lunch. Meet at the public parking area next to the town hall at 7:00 a.m. For additional information call Brock Hutchins at 828-787-1387. There is no charge to participate. September 24: Groovin on the Green Free Outdoor Concert Series at the Village Green in Cashiers, featuring The Honeycutters. September 28: Highlands Cashiers Land Trust presents their latest Eco Tour Elk Excursion - Free to HCLT members, $35 for new friends includes lunch and a membership! Call 828-526-1111 or email julie.hitrust@earthlink.net for details.